As you probably are aware, the Triple Crown was achieved in 2015 for the first time since 1978. The horse was American Pharoah, who was ridden to victory by Victor Espinoza and who was trained by Bob Baffert. American Pharoah capturing the Triple Crown was one of the biggest stories of the sports year, as it is considered one of the most difficult feats in all of sports to accomplish. So, could it happen again in 2016? Sure – anything can happen in horse racing, but the chances are very, very slim. The difficulty lies in finding a horse that can handle the various conditions and lengths of all three tracks. While many horses who win the Kentucky Derby are also able to capture the Preakness, it is difficult to step up to the longer distance presented at the Belmont. Also, over the course of five weeks, various weather conditions at the different tracks can pose a challenge when it comes to prevailing over talented fields. Everything has to come together just right – as it did in 2015 – for a horse to run away with all three of these prestigious events. The fun starts with the 142nd Kentucky Derby on Saturday, May 7th, 2015. 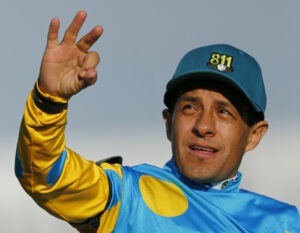 Simply put, there is a reason why the Triple Crown had not been captured since 1978. It is an incredibly difficult task, and it requires a combination of talent, experience, and luck that don’t come together very often. However, there is always the chance that a horse like American Pharoah will come along and steal the show, which is why the Triple Crown races are always one of the highlights of the sports year.